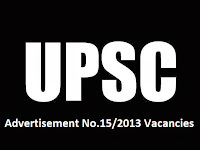 UPSC has published notification of various job applications for the different posts as reveal below. Interested candidates may apply through only online mode. 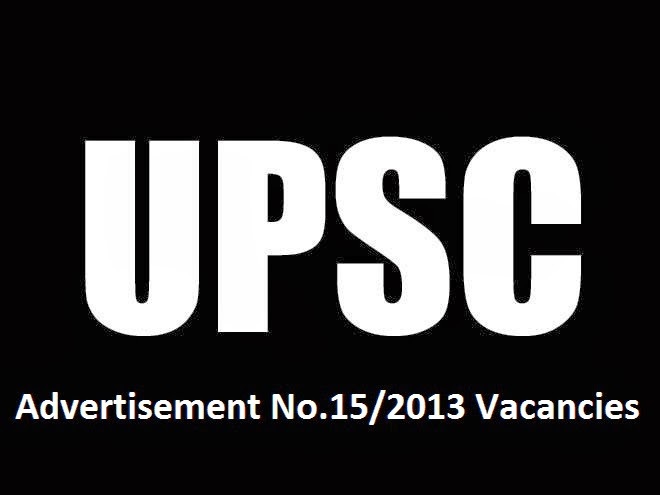 All information regarding UPSC recruitment for various job posts are available in below given official UPSC notification advertise number 15/2013. Please first refer official UPSC notification before submitting the application form from UPSC website as mentioned above.